The Defender® Bird Post and Wire Holder system keeps birds off ledges, sills and flat roofing. It is a low visibility product that requires no measuring and no power tools, making it much quicker to install than other available bird wire systems. Our bird post and wire deterrent is favoured by architects as the base requires no drilling into the ledge, protecting listed buildings from damage caused by drilling, which can lead to water ingress and stress fractures. All our bird post and wire systems are designed and manufactured by us, Jones and Son Pest Control Supplies in Devon. Please do pop into our warehouse if you are in the area to chat with our friendly team and learn how our spikes are individually made. 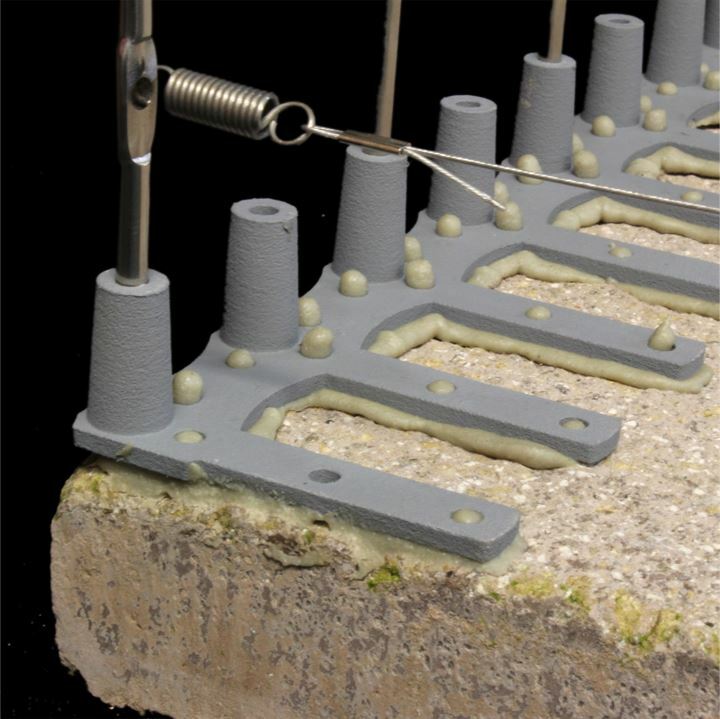 The UV stabilised polycarbonate base of this post and wire system replaces the old method of individual posts with a pre-assembled strip that negates the need for careful measuring, precise drilling, and the potential damage this can cause to your property. Each 33.4 cm moulded strip can hold up to 11 posts. This system means the first post is taken right up to the very front of the leading edge to be protected, even if rounded or part-missing. Any small sections that are uneven or damaged are simply bypassed and supported by the rest of the base. No measuring is required as the spacing between the posts is already at the correct intervals which makes installation quick and easy. The patented base uses anti-topple stabilisers to prevent the posts from inward collapse. If a large bird attempts to land on the wires, the force of the bird is shared down the length of the strip and the anti-topple stabilisers, making it impossible for the Defender® Bird Post and Wire system to collapse in on itself. 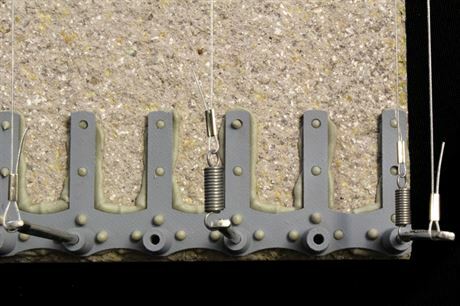 There are 11 breakable sections along the base of the Defender® Bird Post and Wire system that can simply be snapped apart with your fingers to shorten the strip if required. The bird wire strip is then just glued into position. 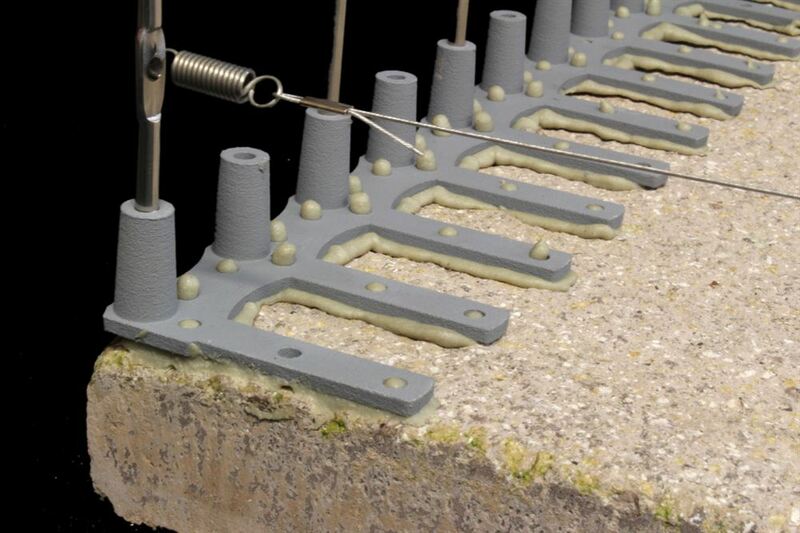 There are 43 holes along its base through which the fixing silicone oozes when the base is pressed in place. 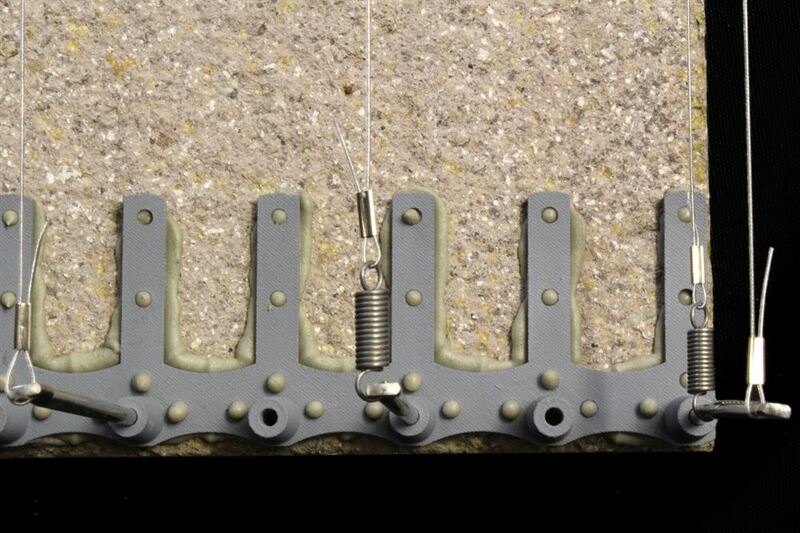 This creates a lock to give a strong, permanent hold. We have 3 different pack sizes available to cover a variety of widths and lengths of ledges. Simply multiply the length of the ledge in metres. by the width of the ledge to determine the area requiring protecting and buy the correct pack. All pack sizes are generous and designed so that you should have some left over after installation. Simply measure the length in metres and multiply it by the width. Therefore a 6 m² pack is required. Therefore a 2 m² pack is required. Remember the bases can be easily made smaller by snapping between your fingers so every size length ledge or space can be fully protected. Each pack can deal with many different combinations of depth and length ledge. The strips can be snapped to perfectly fit the depth of any ledge and simply glued into place. Allow 24 hours for the adhesive to cure before attaching the wires. If the ledge is deeper than the pre-assembled strip, simply add another section of Defender® Bird Post and Wire Holder to fit. We suggest crimping off the wire at maximum 2 metre stretches to ensure stability, tautness and strength. For a ledge over 2 metres long, just attach a new wire to the other side of the end post and continue to tie off in 2 metre lengths to the end of the ledge. You will notice that your pack will be delivered with each strip containing 11 post preassembled. We would recommend that in most situations you attach a wire to every post particularly if the ledge is a medium or high pressure area. This means a site where pigeons regularly land and/or use it as an overnight roosting or nesting site. Jones and Son Pest Control Supplies Ltd is a family-run business in Devon. The Defender® Bird Post and Wire was invented specifically to make fitting bird wire much easier for the end user, with no need for professional tools or complicated measuring. Our Defender® Post Bird and Wire has ensured many people have found an easy way to keep pigeons and birds off ledges. Read Bird Wire System Reviews.